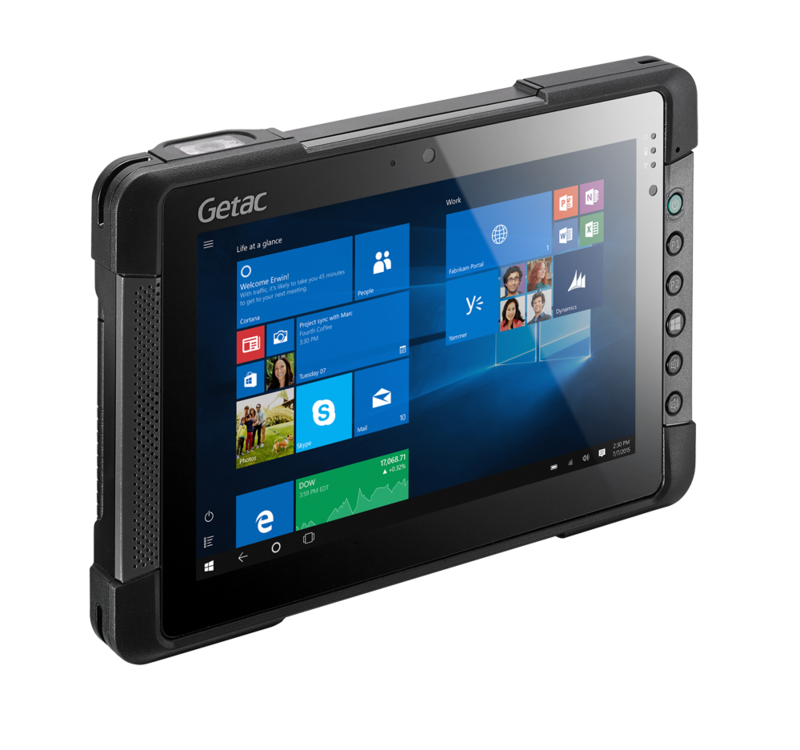 The compact, rugged Getac T800 tablet PC is designed for mobile field service and features the latest wireless technology and outstanding sunlight readable 8.1-inch display features, making the screen area 34 percent larger than that of a typical 7-inch tablet PC. The T800 is ergonomically designed and features a shallow depth of only 24mm and a size of less than 22.86 x 15.24cm. With a weight of 0.88 kg, the rugged companion fits easily in just one hand. At the same time, it meets professional ruggedness requirements (MIL-STD-810G and IP65). 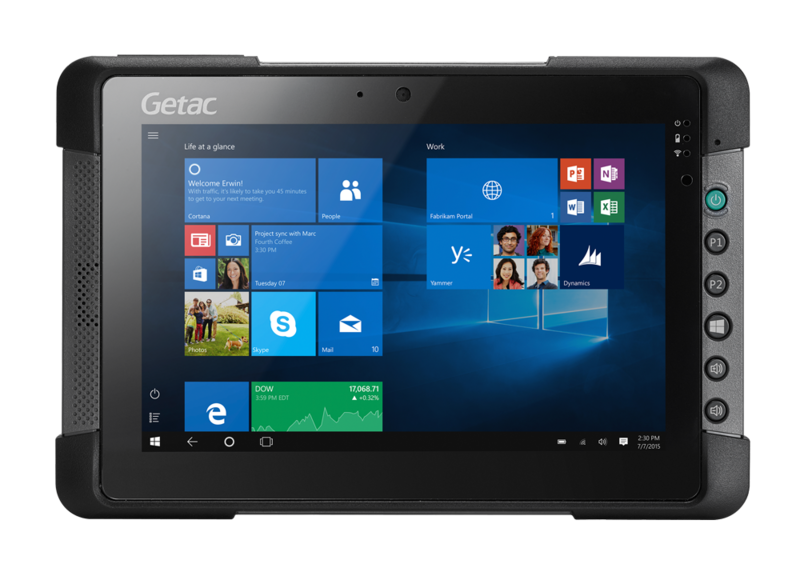 The T800 is designed to protect the Tablet PC from falls, shocks, splashes, vibrations, dust, liquids and more. The T800 has been independently tested and certified to MIL-STD 810G and IP65. The T800 delivers 10 hours of battery life on a single charge. For a potentially endless, uninterrupted battery life, use the additional SnapBack battery extensions. 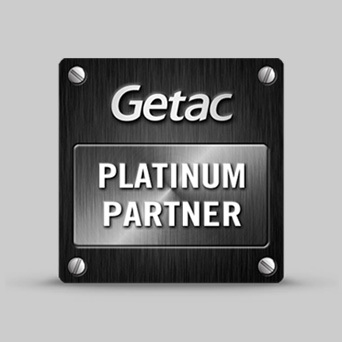 This allows you to continue working without ever having to shut down your apps or the Windows operating system. 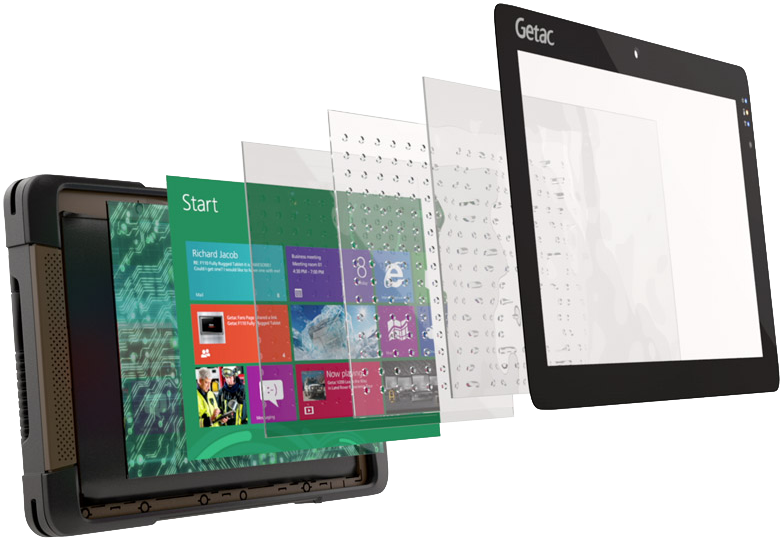 The T800 uses revolutionary LumiBond® 2.0 technology to make the screen easier to read, better contrast and clearer colours than other rugged tablet PC screens. By bonding the Gorilla® glass with the touch screen and LCD, a screen has been created that is far more durable, reduces mirror effects and offers better readability – even in direct sunlight. 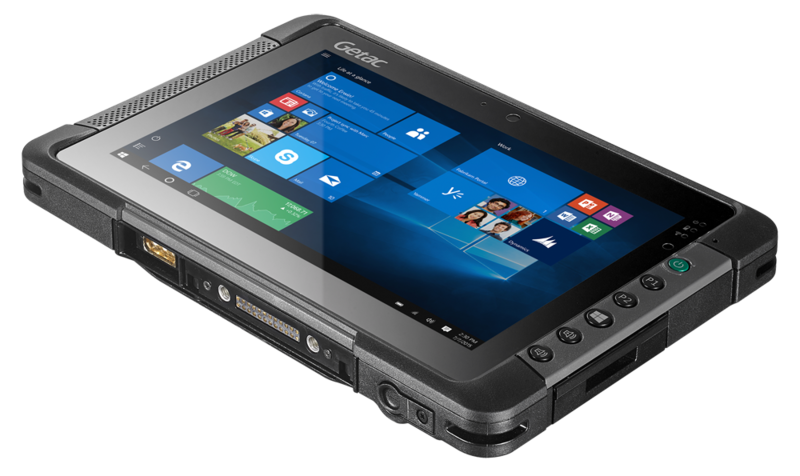 Configure the rugged T800 tablet according to your wishes and find out now about our various offers and the matching accessories in our online shop.